Home stuffed with mismatched hand-me-down and buyer’s remorse furniture ? All is not lost. 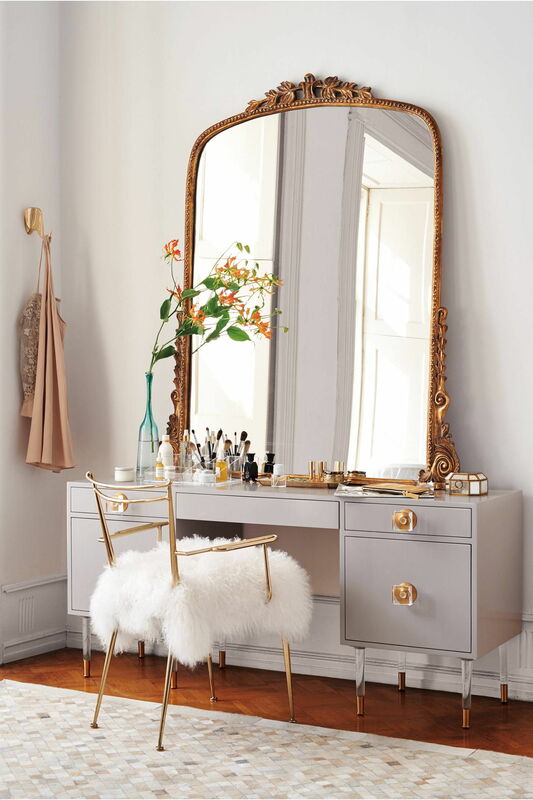 You heard it from us – it’s okay to have furniture that doesn’t match. In fact, it’s actually pretty great! Ever fallen blindly in love with an item at the furniture store? Or inherited pieces from others that you liked but just… aren’t quite sure what to do with? 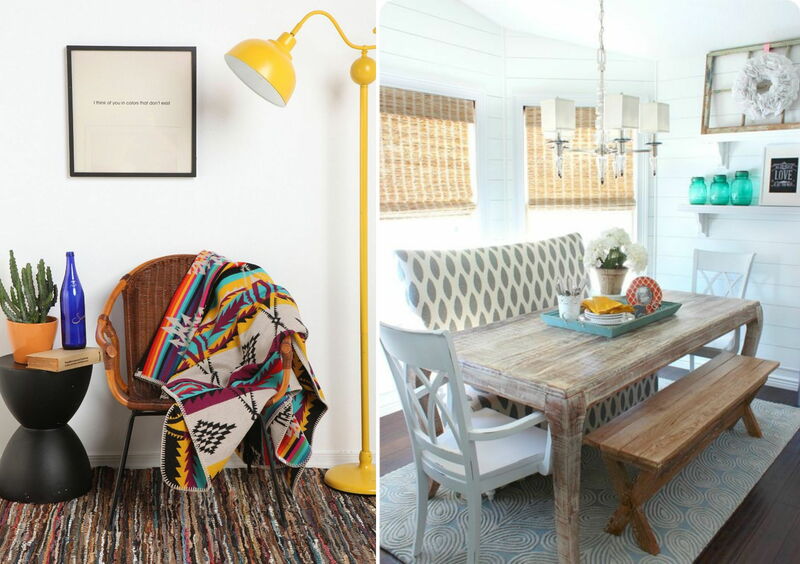 It’s easy for our homes to look like eclectic zoos for chairs and tables. But it doesn’t mean it can’t look swoon-worthy. Gone are the days where homeowners filled their rooms with carbon-copy furniture sets. 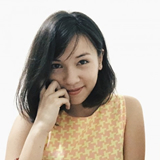 We’re all for celebrating the character behind individual items and letting them shine. 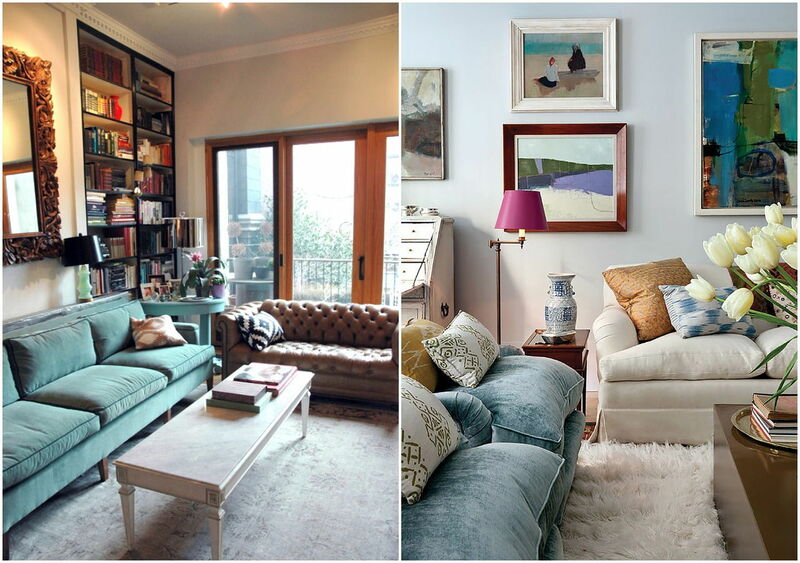 The secret to rocking mismatched furniture is finding a common link between them and their surroundings. With a bit of thought, you too can create a beautiful home that feels truly one-of-a-kind, whilst saving a ton of money. 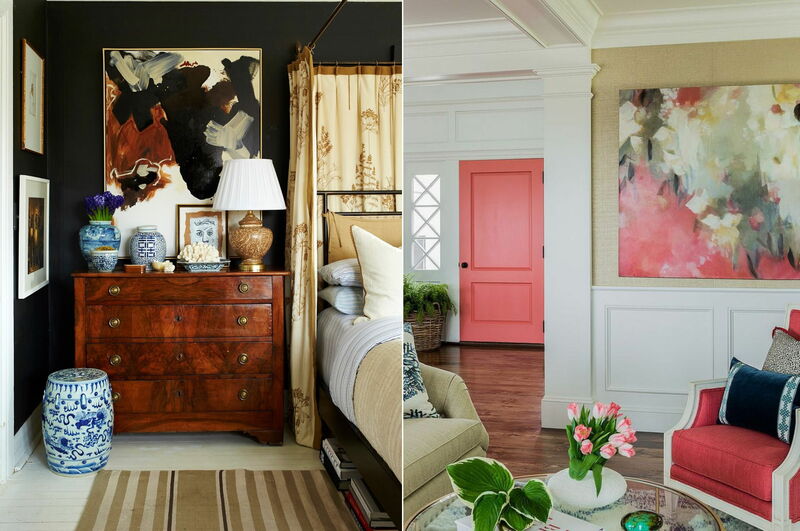 The placement and repetition of colour is key to creating a room that looks well thought out. One of the simplest and most effective ways to matching your furniture together is to pair items of the same colour palette, or pattern family. For items that simply don’t match, consider DIYing them with a simple paint job. You can recolour items in their entirety, or in part (e.g. just the legs of a stool). Spray paint can be your best friend. In fact, we’ve done up an entire article about spray painting old furniture. 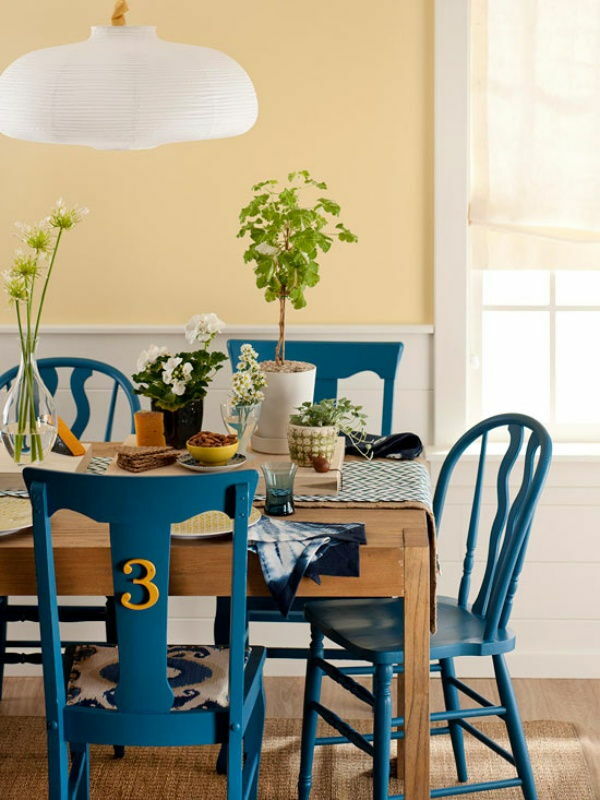 If you don’t like the thought of slapping paint onto your precious furniture, opt for a more temporary solution. 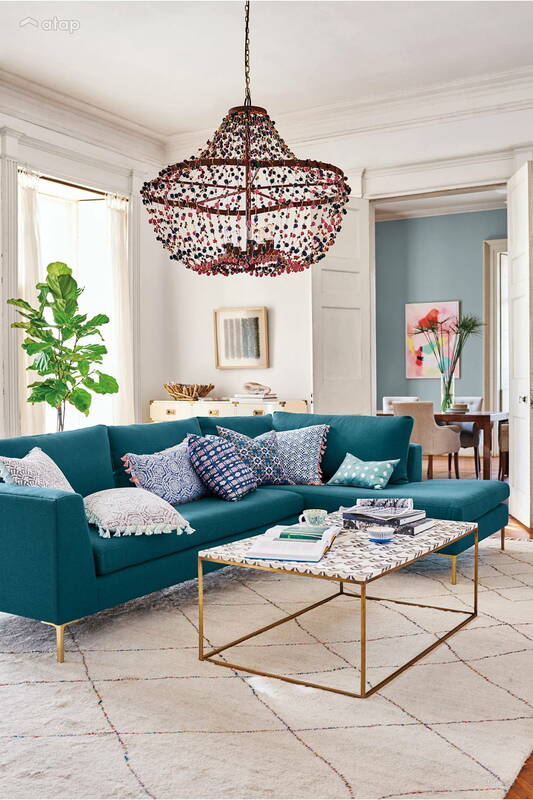 Upholstery is perfect for adding connecting accents to a room that can easily be changed up when you adopt new pieces. For example, if you have two different coloured couches in a room, swap a pillow from each to create an instant, visual connection. Or, you can marry together any furniture items in the room by using pillows, rugs or throws that borrow from these different colours. You can use your wall decoration in a similar way. Sometimes, all it takes is a large painting to make everything in a room make sense. Curtains and lampshades can work similar wonders. The red light fixures bring perfect balance to this red and white design scheme that mixes modern white design with more traditional dining chairs. Select 1 or 2 key materials from your repertoire of furniture that you want to bring out in the room. Whether wood, fabric, metal, marble, or stone; simply use this material as a basis to regroup your furniture items, room by room. The repetition of metallics in the coffee table and couch create a match made in heaven. To add even more visual interest, try matching different shades of the material you select. Hardware accents work in a similar way – it can be as simple as replacing the knobs or handles on your different furniture items so they’re of the same, or similar, material. Another very simple way to unify furniture from drastically different places is to sort them into themes. Items that fall under a theme tend to work together without even trying. From coastal kitchens to vintage living rooms and woodland nurseries – selecting a theme will give you both a framework and the freedom to reorganise your furniture in a way that makes sense. Then, simply complete the look by filling in the gaps with some statement, thematic décor. Sorted!